The number of children served by Children’s Advocacy Centers across the country has increased by 193% since 2000. 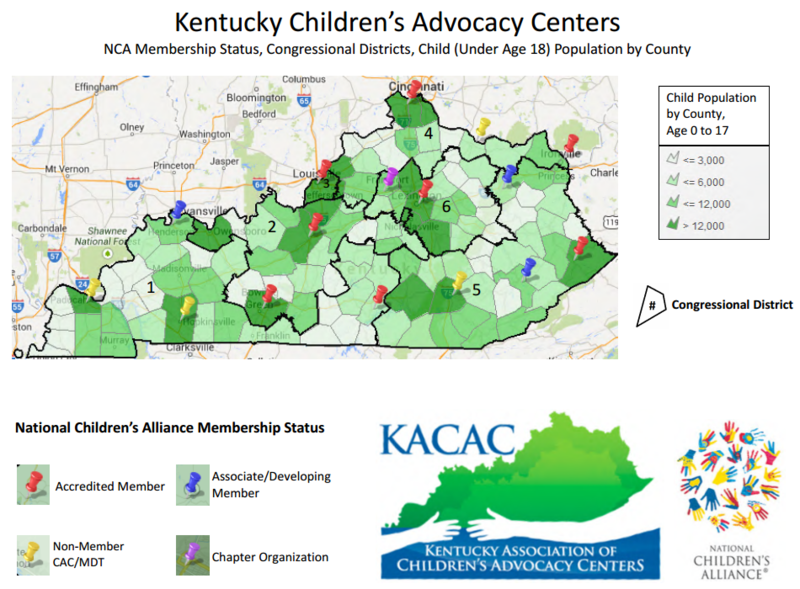 Two-thirds of all counties in the United States have access to a Children’s Advocacy Center. Fifteen states have 100% service coverage. This is great news – but it is not good enough. It is not good enough for the children who don’t have access to all the services a Children’s Advocacy Center has to offer, and it is not good enough for the professionals who aren’t able to benefit from the multidisciplinary approach, the training or the technical assistance that others can through a local CAC. To find out coverage in your state, simply click on the link below. And join us in working toward 100% coverage in every state.